Kaduna State Governor, Nasir El-Rufai has reiterated that, Arts and culture form the core values of people’s and the essence of their existence which cannot be taking away. Addressing participants from the 23 Local Government Areas of the state on the theme: “Our Folklore: Harnessing Today As Tomorrow’s Heritage”, held at Murtala Square, Kaduna, ‎El-Rufai noted that, the role of Arts and Culture is gaining more recognition in the current globalisation, just as folklore provide invaluable insight into people’s historical existence‎. “Our rich cultural heritage keeps our memories alive on how beliefs and Cultural expressions have contributed to the development of our society”, he said. He continued, “Kaduna state is a land of rich artistic heritage and endowed with abundance of creativity which is well demonstrated through art, dance, literature, folklore, music amongst many others which can provide sustainable development if properly harnessed”. “The event is informed by the need for the state to tap its vast and robust cultural and arts potentials and re-oriented our people for socio-economic and political transformation of our dear state and the country in general”, he highlighted. He further urged the 23 local governments to take their participation in 2017 KADFEST so seriously because it is the doorway to their successful hosting and participation in the 2017 edition of the National Festival for Arts and Culture-NAFEST, which Kaduna state has accepted to host. In his speech, the host who doubled as Commissioner, Ministry of Youth Sports and Culture, Daniel Dan Auta noted that, since inception in 1975, KADFEST has served effectively as one of the veritable forums for the promotion of unity and peaceful co-existence among the diverse cultural complexes in Kaduna state. He added that, “the tourism as contributed immensely in enhancing the resilient character that has marked Kaduna state out as a study in harmonious co-existence in Nigeria which has helped in no small measure to facilitate and sustain Kaduna’s central role in regional, national and international, as well as other beneficial economic, social and political fora”. According to him, “KADFEST has also been a vehicle for domestication of the principles and objectives of the National Cultural Policy which gives a great sense of responsibility that the entire management of the Ministry commended the Executive Governor for his continued support for the realization of its objectives. “KADFEST is the premium multi-faceted festival organized by the state Ministry of Youth, Sports and Culture to show-case and market the high-yielding investible Arts and Cultural potentials that abound in all nook and corners of the State. 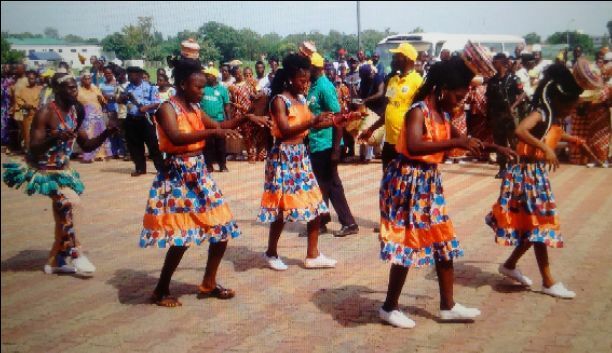 “‎The premium value this government place on the promotion and preservation of our Cultures and tradition,‎ is also the same for the upcoming National Festival of Arts and Culture-NAFEST”. “The world present values, norms and cultures are fast deteriorating. F‎olktales and Folklores which formed a major part of our indigenous education and specialization, can serve to stand the spiral of corruptions in our society, if properly harnessed, package, and promoted”, added the commissioner.